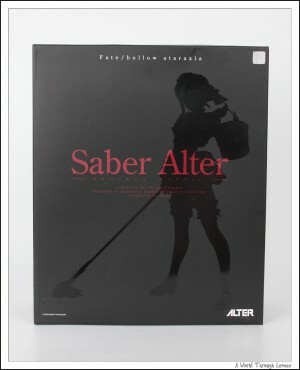 I’ve purchased Alter’s Saber Maid PVC a little over two years ago. A little over one year ago, I’ve purchased a Dollfie Dream Saber and the Dollfie Dream Saber Maid costume. Give the fact that I own a number of PVCs, nendoroids, as well as a Dollfie Dream Saber, and that I also own Saber Maid in both PVC and as a dollfie dream costume, you can conclude that I’m definitely a fan of Saber maid. And when I see that Alter will be releasing a PVC of Saber Alter in maid costume, I just had to have it. The box shots front and back. 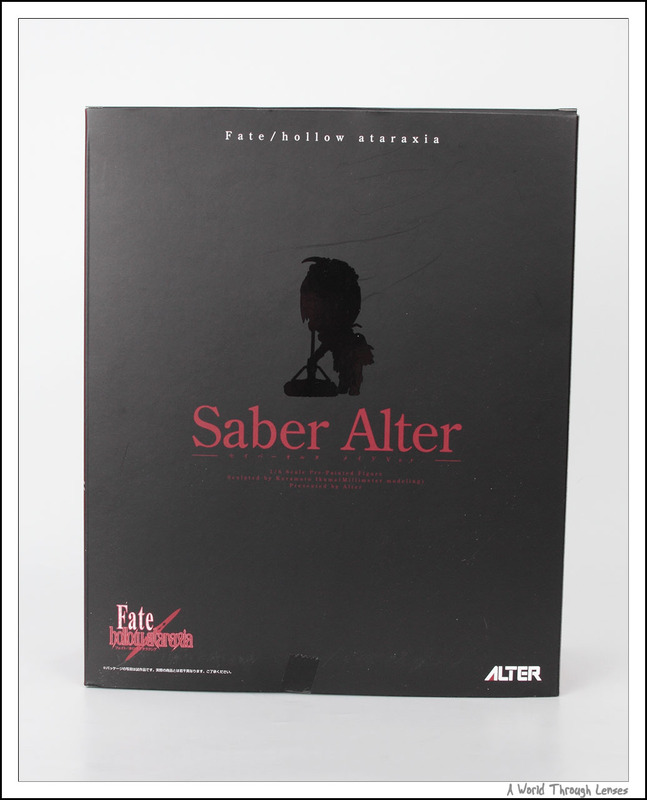 The box is very nice, black box with only silhouette of Saber showing through the matte black color. 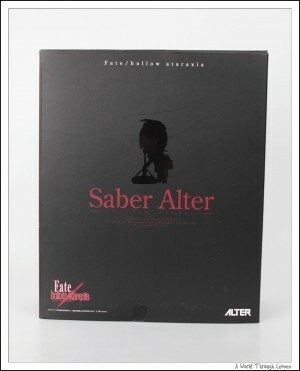 So fitting for Saber alter. Speaking of clothing sets for Saber, maid dress is obviously on the top of the list. Volks released an official Saber maid dress for the dollfie Saber, and I got it through Yahoo Auction Japan. I can’t wait to put it on Saber when I finally got the Saber maid costume set (セイイバーのメイドコスセット). However, this dress set proven to be one of the most damaging dress set to put on Saber. Even after soaking the dress in vinegar, the dark dress still stained Saber’s soft vinyl body. Dollfie dreams are easily stained because the outer body is made of soft vinyl. Any dark clothing should not be put onto the doll directly. Soak in vinegar water mixture to get rid of some of the dyes first is my typical strategy. However, whenever possible, put the body stocking on to add a layer of protection. 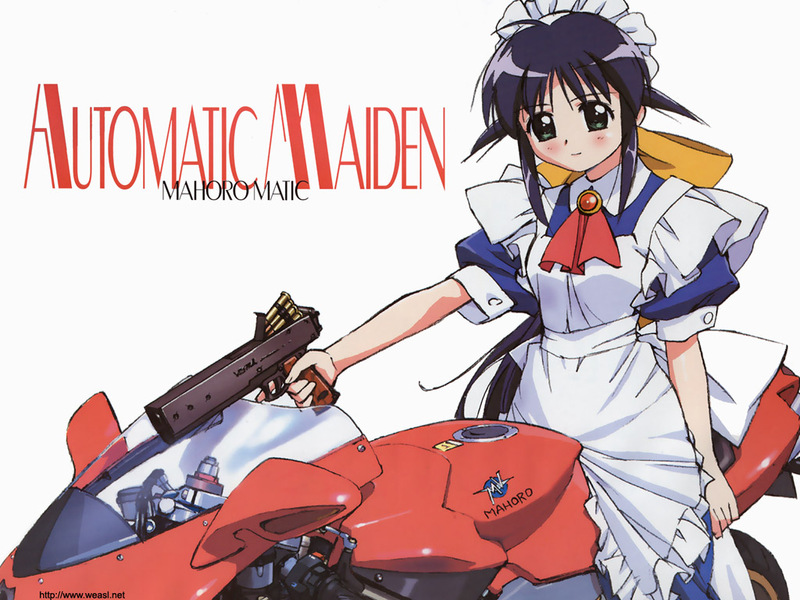 In my case, I though I couldn’t use the body stock because of the low cut of the maid dress on the back, I was wrong. I had to use some benzoyl peroxide based acne cream to gently bleach the stained area and get rid of most of the dark stains. A 10% benzoyl peroxide based acne cream would be the best choice, but if it’s not available 5% can work just fine by simply put a lot more on and repeat more times than the more potent version. Well put the stains aside, here’s Saber in her hot maid dress. This is Tsuruya-san (鶴屋さん) from the Suzumiya Haruhi no Yuuutsu series in her culture festival main costume. Tsuruya-san 1/8 PVC by Max Factory (Max Factory 鶴屋さん). Original sculptor 智恵理. Released on February 2008 with an MSRP of ¥5,800. Saber Maid 1/6 PVC by Alter (アルター セイバー　メイド Ver.). Original sculptor 倉本 育馬. Released on September 2007 with an MSRP of ¥8,190.